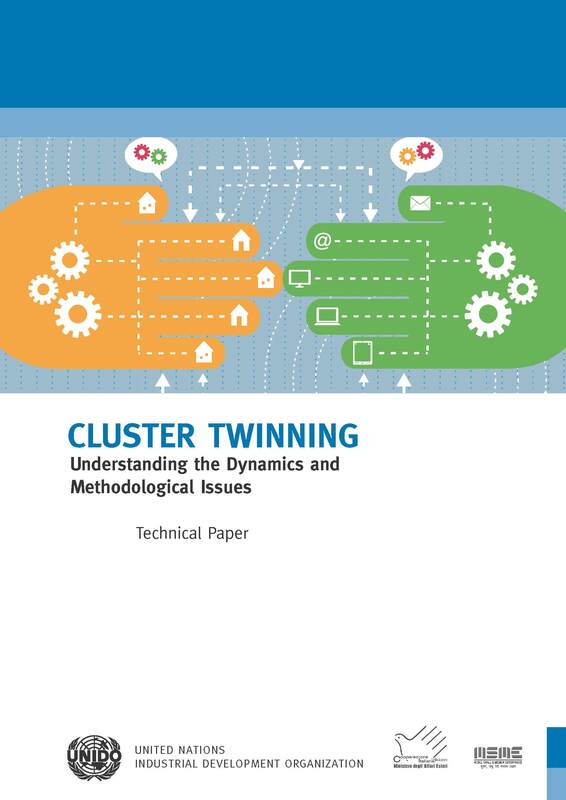 The paper focused on “Cluster Twinning” was implemented that aimed at optimal process for the linking two clusters across different countries at different levels of development, i.e. a developed or mature and a developing or emerging cluster that were nevertheless producing similar products. 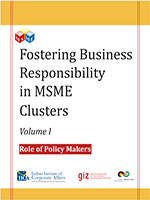 Fostering Business Responsibility in MSME Clusters’ is in three volumes. 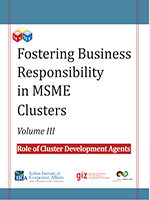 Volume I is for Policy Makers, Volume II for Implementing Agencies (IAs) and Volume III for Cluster Development Agents (CDAs). 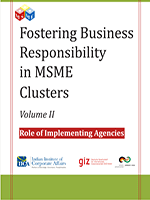 These volumes are a guide to the varied roles and responsibilities all three stakeholders in encouraging Business Responsibility among Micro, Small and Medium Enterprises (MSMEs) through a cluster development approach have been explained in these volumes by using various case studies and illustrations. The document was made under the IICA-GIZ programme. 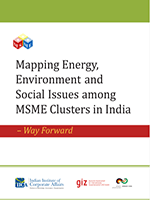 energy, environment and social issues in the clusters. This study is funded by IICA.